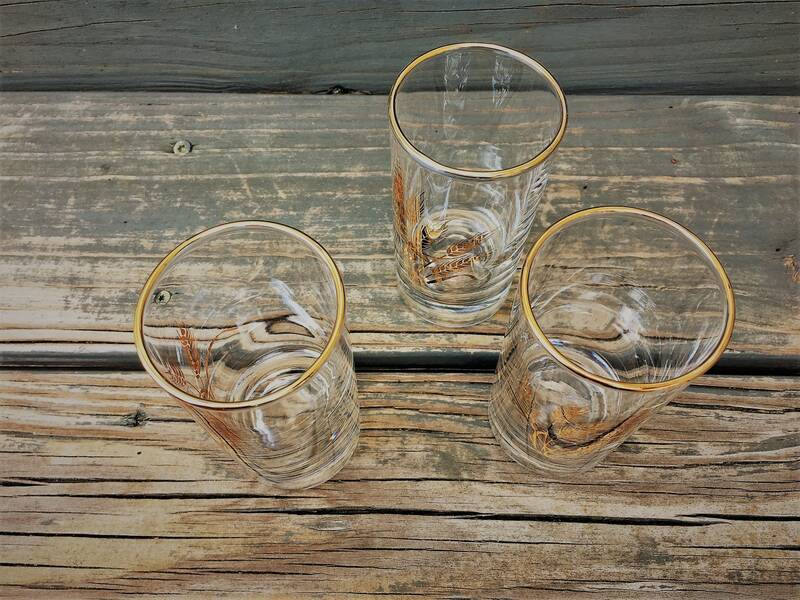 Offered is a set of 3 vintage juice glasses made by Anchor Hocking featuring 22K gold rims and sprays of golden wheat. 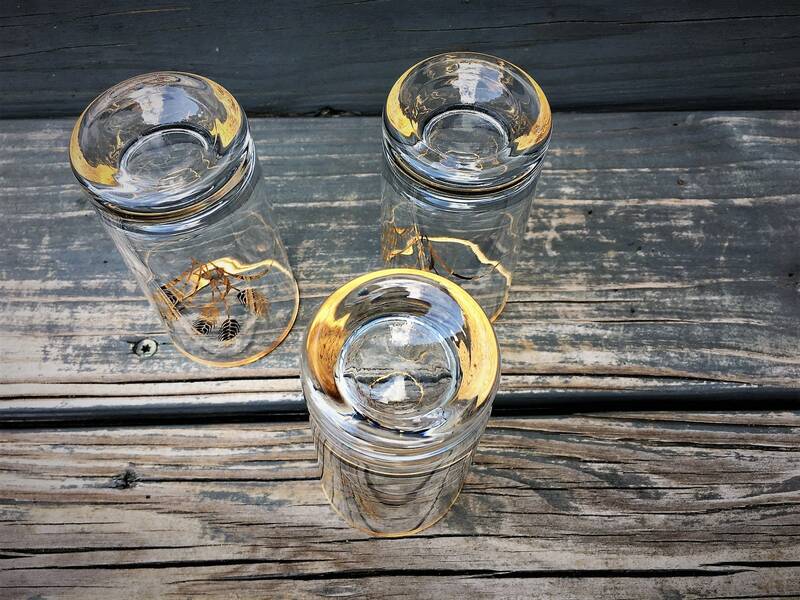 The tumblers have heavy bases and measure 4 inches high and 2 inches across the rim and they hold 5 ounces. These were offered as promotional pieces by Duz Detergent in the 1950s and 60s. 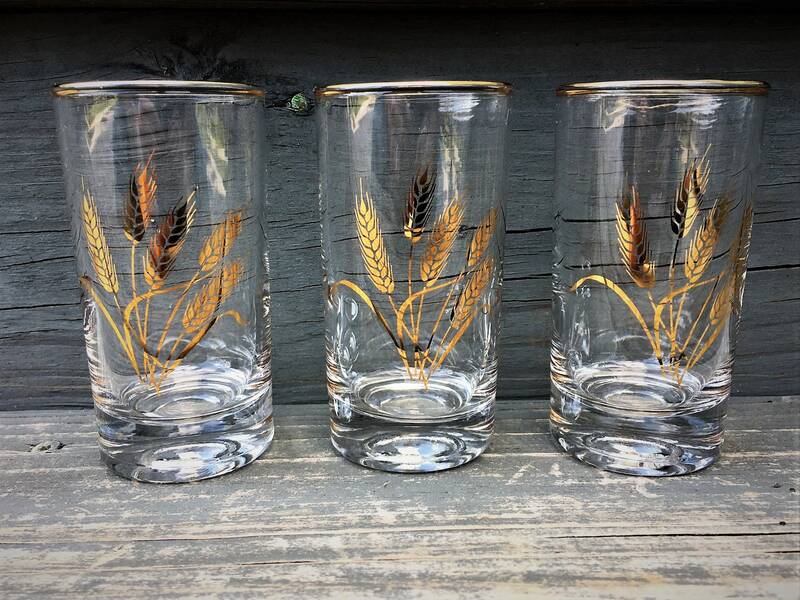 The wheat pattern on these glasses complement dinnerware produced by both Homer Laughlin and Scio China as well as other companies. Duz detergent, produced by Proctor and Gamble, had an excellent marketing tool. After buying a box of detergent, you would find a plate, cup, saucer, glass, flatware, or other item in the box. If you bought enough detergent, you would own a complete set of dinnerware. To increase sales, this promotion was advertised on I Love Lucy TV shows. The glasses show little to no wear and are free from chips, cracks or cloudiness.